The son of an Air Force physician, Dr. Hank Willis spent his early years all over the country, as well as abroad. He lived in such places as Texas, North Carolina, Maine, Mississippi, Germany, Michigan, New Mexico, and Washington. These formative years in different places gave him an appreciation for people from all walks of life, amiable adaptability in unfamiliar circumstances, and confident decision-making skills. This nomadic beginning sparked a lifelong quest for travel and adventure, but it also drove Dr. Willis to seek out a place in which to settle permanently. He was tired of moving every 2-4 years! In 2003, Dr. Willis graduated from the University of Washington dental school in Seattle. He then completed a one-year General Practice Residency, also in Seattle, before moving his young family to beautiful Bonners Ferry, Idaho in July 2004. He quickly decided he never wanted to leave. 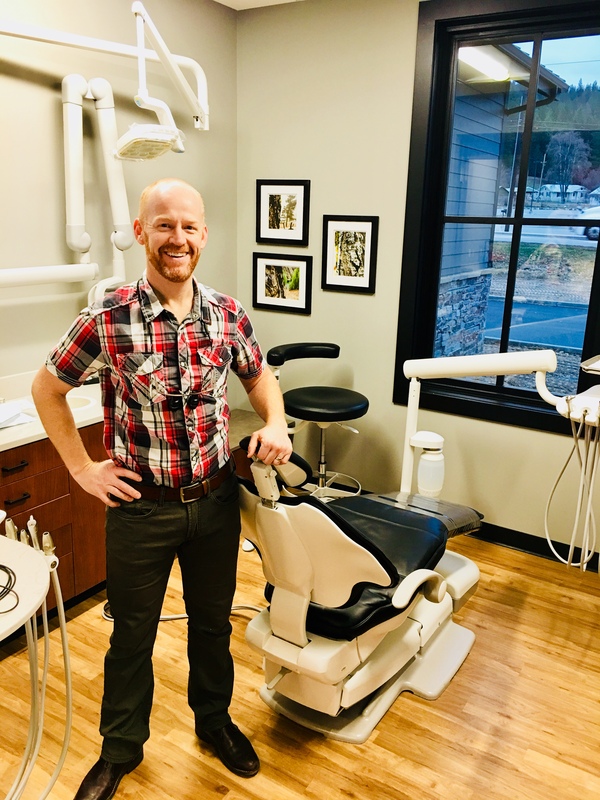 After serving the community for almost 3 years at a non-profit clinic, he opened the doors to his private practice in 2007. Dr. Willis goes to great lengths to stay current with the latest advancements in high quality dentistry. He attends continuing education courses annually, and he is constantly seeking ways in which to educate himself and his staff in order to provide an unrivaled level of care. The office is equipped with digital x-ray equipment, which allows for greater diagnostic accuracy and a greatly reduced level of radiation exposure. They also utilize digital charts and are moving toward becoming a paperless office. Dr. Willis truly cares for the comfort of his patients. While his focus is on excellent care, he has a special gift for delivering his services with empathy and gentleness. He and his staff strive for the entire experience to be a positive one, from the moment a patient steps into the waiting room until the completion of treatment. When he's not in the office, Dr. Willis can be found spending quality time with his wife, Hannah, and their four children: Eika, Henry, Evangeline, and Jude. They enjoy hiking around the beautiful mountains, skiing, ultimate frisbee, and the little things in life. At times during the fall Dr Willis disappears into the woods for hunting.